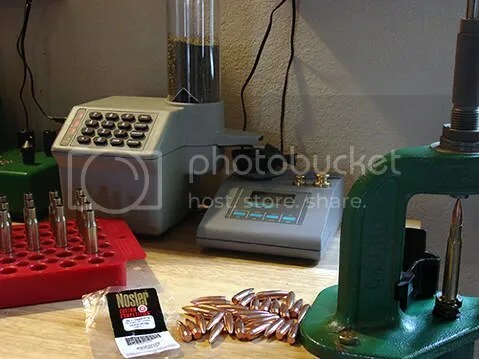 Among the things I got with the press when I set-up the reloading bench was this. 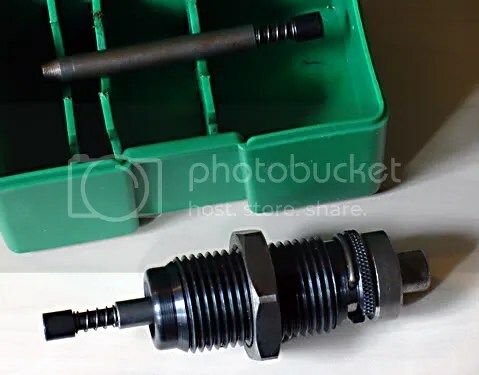 I have no idea what or how it operates, I don’t believe it’s for a rifle cartridge and the green box has no label or indicator. I arranged it in a couple different ways. 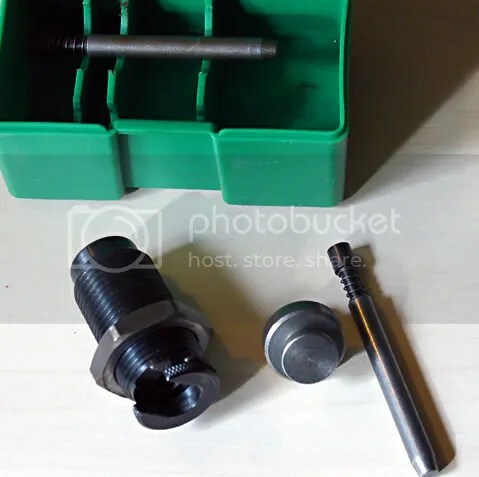 The spring loaded whatchamajigger can pass through the center unless you snap in the shell-holder or anvil or whatever it is. It could be some kind of…crimp-remover? UPDATE: I’m a dumbass but I think I got it figured out (finally). I’m prepping for a match this weekend and full-length re-sizing twice-shot cases. To check them I have a Stony Point Cartridge Headspace Gauge. 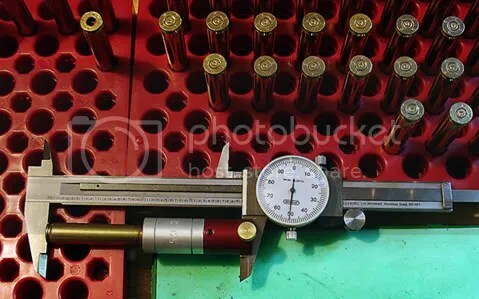 This works with or without the bullets seated, since the .30-06 case headspaces on the shoulder that’s what needs to be measured. The shoulders line right up at the same mark each time, with shot cases running short. Re-sizing to full length gets the shoulder back up where it belongs, but then the case is measuring out to 2.502+/- when it should be 2.494 so I have to trim the brass a smidge. I’m going to use the load that worked so well for me before, the 150-grain spirepoints (center), with 46 grains of H4895. The Square Green Thing: I got bored smearing on the Imperial Re-Sizing Wax and simultaneously was about to throw out the old case-lube pad when I noticed it was damp with soaked-in lube. In the past I had dinged up every case-neck I tried with an overdose of spray-on lube, but I thought maybe now my finesse had improved so I decided to give it another go. It’s working better than before, possibly due to the dies now being burnished and broken-in they’re less dry and grabby, and also I’m just rolling the cases back and forth a couple time across the pad surface, instead of deluging them in spray-lube. Laziness of finesse, or whatever. Ok so this can be like watching paint dry…it’s not runway models after all. 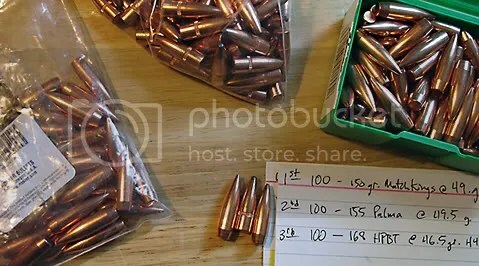 These gleaming copper-clad little beauties are 168-grain Nosler Custom Competitions wrapped in a runway sheath of Lake City ’66 brass under which I’m gonna light a fire with 46.5 grains of slinky-chopped H4895 using a bold Remington Number 9‎½ Large Rifle primer. Oh-La-La! A little research lead me to this load, it’s supposed to accurate.